Work for H&R Block At Home Premium & Business? Learning about H&R Block Business? "Good for simple to moderate returns"
I like the interface. It asks questions to get you to the answer you need. I don’t like the fact that you can’t see the actual form until you pay for the return. I would like the ability to preview the return and schedules as I work on it, so I can see if I missed anything. I also don’t like when it tells you to upgrade, or that you need a tax pro. I would like to disable that. Get the top line product to begin with. Otherwise, you’ll be asked to upgrade all the time. I’m completing client tax returns. Clients like getting their returns done on time. The benefits have been increased revenue and increased client satisfaction. "Great for simple tax returns, more difficult for small business"
I love that it's super easy to do my personal taxes. I can easily look up deductions that I didn't know existed and it's fast -- I don't have to do any of the calculations by myself and all the personal info from last year is retained so I don't have to reenter it. I don't like doing business taxes with it. Even with the easy-to-use layout, I find it difficult to figure out business deductions and depreciations, so much so that I just don't use those deductions. Our small business doesn't have a big income or a lot that is depreciating, so I don't feel like it's enough to pay someone to figure them out, but I hate that I don't feel like I can claim those deductions by doing our taxes by myself. It's mostly easy to use, but you may have to do some research to figure out some of the more detailed things. I don't have to pay someone to do the taxes. The fee is relatively small and since we have a small business income, it's affordable for the service we receive. "H&R Block Among the Best"
That so many updates tend to be required into February before filing. Simply check it out to see if you prefer the audit protection and other features and resources that you can use and compare with other software choices. My Schedule C proprietorship business taxes are easier with this, allows me to deduct and helps me to think of items I may be missing to take advantage of home office and other features. I liked how easy it was to use because taxes are pretty hard to understand when you don't study that area or comprehend them in the first place. I don't have any dislikes to report. It was actually pretty easy to use and I understood what I was doing. It's set up in a modern and simple way, definitely easy to use. Way better than going out and having to sit and wait on getting your taxes done. This is done on your time. I wasn't solving any issues, just doing my taxes for the year. I guess you could say those are issues if that is the case. I've realized that it's rather easy to use and it gives the details in an explanation that I can understand. "H&R Block is the best way to get your taxes done online!" How easy and intuitive the program is. The software guides you step by step. There isn't much to dislike here, but I could see this being a tough software if you had really complicated tax setup. Try it out, if you don't like it, you don't have to click submit. But you will like it in the end. I don't have to worry about whether or not I owe back-taxes on any given year. "Have been using this for a few years now"
Makes it simple to do taxes at home, for a better price and asks detailed questions to maximize refund. The cost increases each year. So I look for an alternative, but end up getting H&R Block again. Completing taxes myself, with no need to worry about whether or not I'm doing anything wrong. 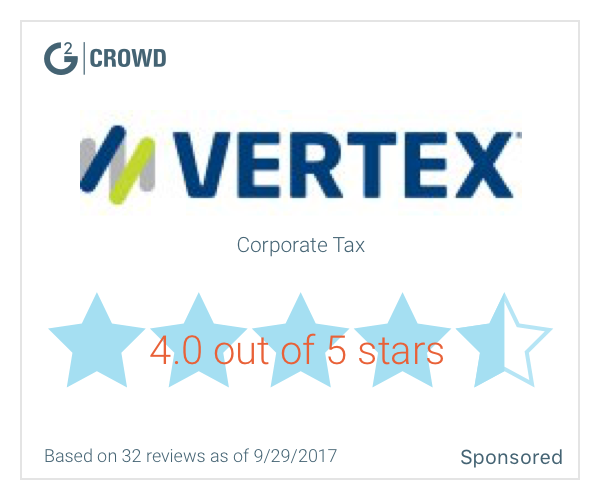 "Great product to help guide anyone that has little to no tax knowledge"
I like how easy it is to navigate the software. I also like how the software walks you through all taxes. Sometimes when you leave a category but need to return to it later on, it doesn't save your spot, it throws you back at the beginning of that category. I no longer have to take taxes to an accountant. I can slowly do them as my tax documents come in. "Easy to use tax service "
It is easy to file taxes at home using the software. The process is not as straightforward as TurboTax, and even though it said my document was filled out correctly, my federal return was sent back to me needing revisions. Filing taxes and being able to manage my career related expenses. "H&R Block makes doing your own taxes easy and painless"
I have used H&R Block to do my taxes for the past 8 years. The filing form guides you step by step what information to add & where. Do not worry if you don't know anything about doing your taxes, the home edition will ask you questions to determine if you qualify to take all deductions along the way - based on the filing status you chose when you began. I love H&R Block. I have no complaints and continue to use it every year. Just try it once and you'll use it every year too. I highly recommend H&R Block. Using H&R Block saves me over $400. a year paying an accountant to do my taxes online using the exact same forms. I've compared this to a few other options, even TurboTax, to me this is the best option because it breaks everything part of your taxes down into a simple and understandable question. It also keeps your year over year taxes in the cloud so when you use them the next year it migrates all of last years data for you, it really streamlines the entire process. I wish it was cheaper, but it's definitely worth the money. I would definitely recommend this, it's reliable and a huge time saver. "Brilliant no hassle personal tax assistant that gets it all right." I've used H&R Block At Home for five tax years in a row, and it's been brilliant every time. It imports my previous years tax returns, takes me through a detailed interview, as me to input some information, and out spits a flawless tax return. Every year, no questions asked, no hassle; just accepted returns that took me a small amount of time to file. The disparity between the federal and state return preparation fees are egregious. I love this product, so certainly, be my guest use it for your personal taxes. Learning about H&R Block At Home Premium & Business? * We monitor all H&R Block At Home Premium & Business reviews to prevent fraudulent reviews and keep review quality high. We do not post reviews by company employees or direct competitors. Validated reviews require the user to submit a screenshot of the product containing their user ID, in order to verify a user is an actual user of the product. Hi there! Are you looking to implement a solution like H&R Block Business?